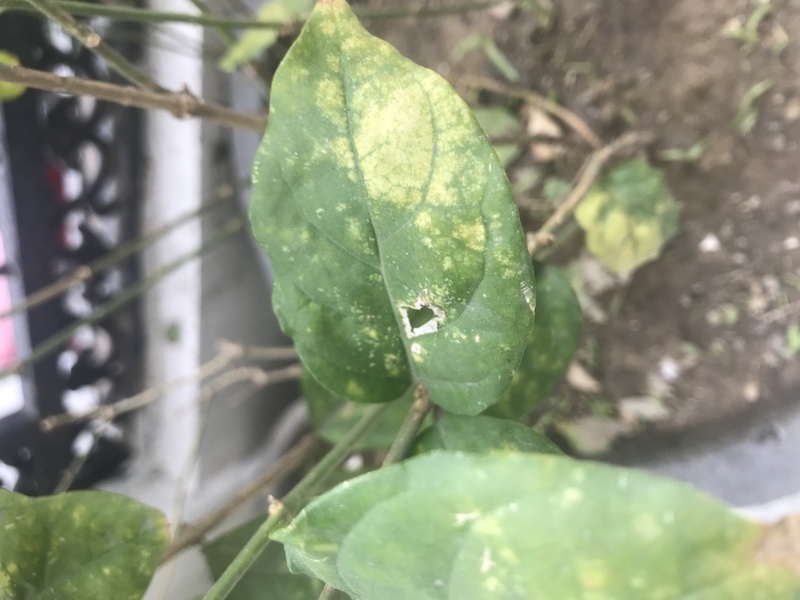 Subject: What is eating my plant? I am very new to gardening and have a jasmine plant in my balcony. Recently it started getting yellow spots and holes. The leaves started cracking up and falling off. I could not see any insects on the plant or spots under the leaves. Can someone please help me identify what insect is causing this and how to remedy it?